In a matter of minutes you will be creating professional reports from PLCs and controllers by Allen Bradley, GE Digital, Mitsubishi, Modicon, Omron, Siemens and more. This is the perfect choice for Users, Machine Builders and OEMs who need a low-cost, straightforward solution that does not require a historian or relational database. XLReporter's "Report As You Run" technology adds process data directly to the report periodically e.g., every 15 minutes, or when signaled by an event e.g., weigh cycle complete. 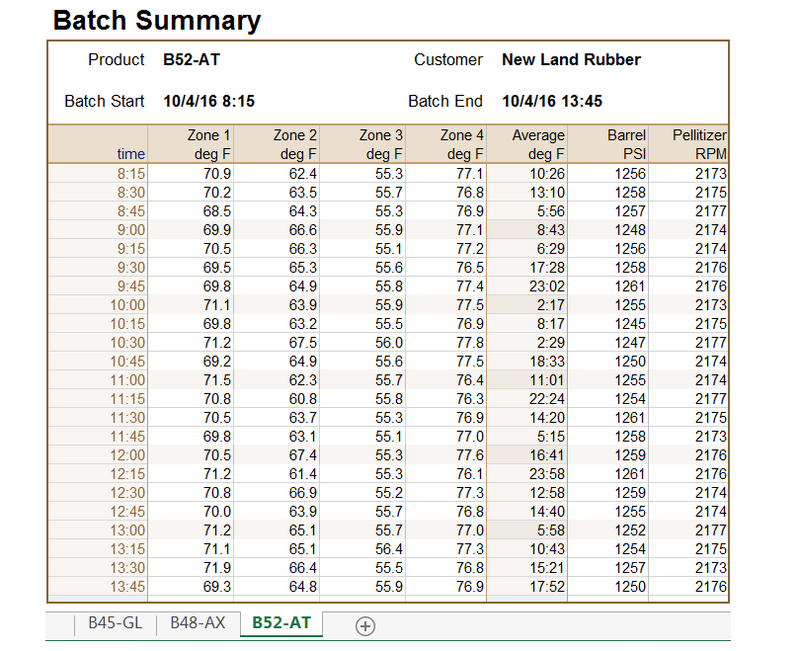 Snapshot reports are the simplest type of Real-time report, containing raw values and summaries from the PLC at a moment in time. When used as a dashboard, the reports can be viewed as they are being updated. 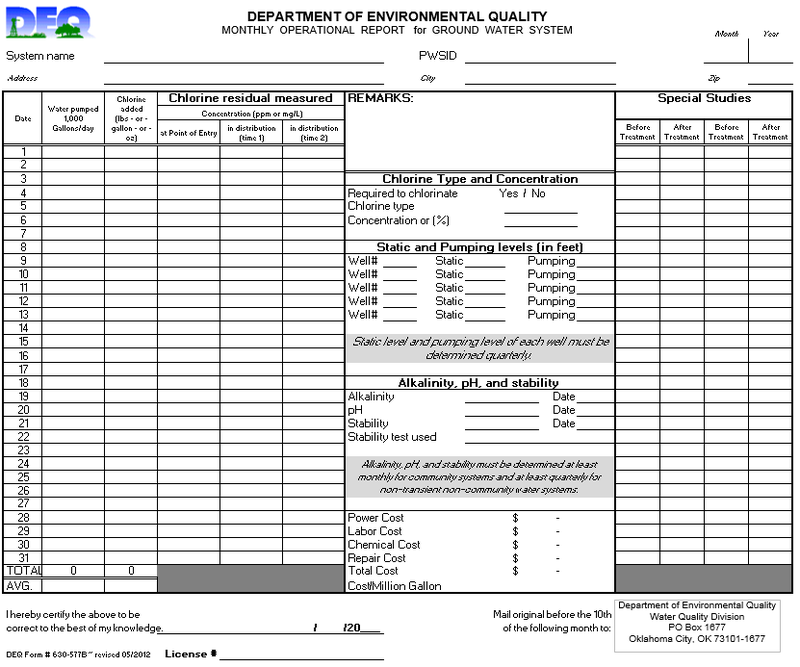 Summary reports are produced over a period of time. 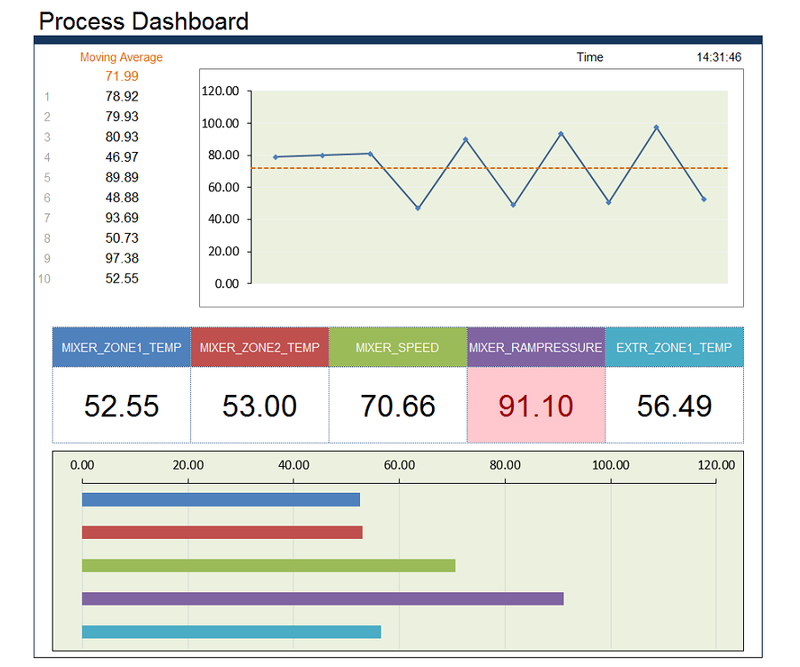 In this solution, a library template is used to report values every hour of a day. When a report is completed, a new report is created automatically. The annual production report contains the production for an entire year, organized in monthly reports. 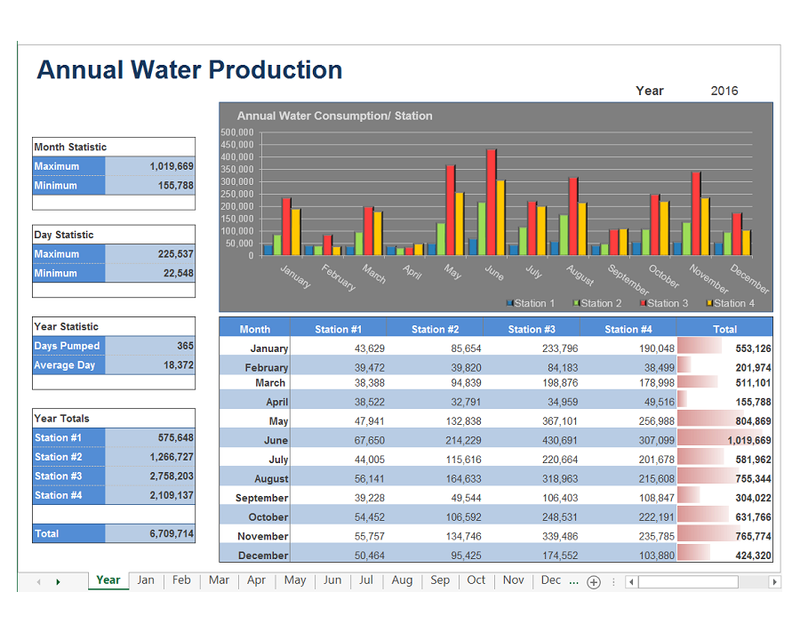 In this solution, a library template is used to monitor the annual production of a water treatment facility. The monthly operating report is an example of a regulatory report. In this solution, the Monthly Operating Report from the State of Oklahoma is shown as the Excel file "as is" from the State's website. No redrawing, no touchup. 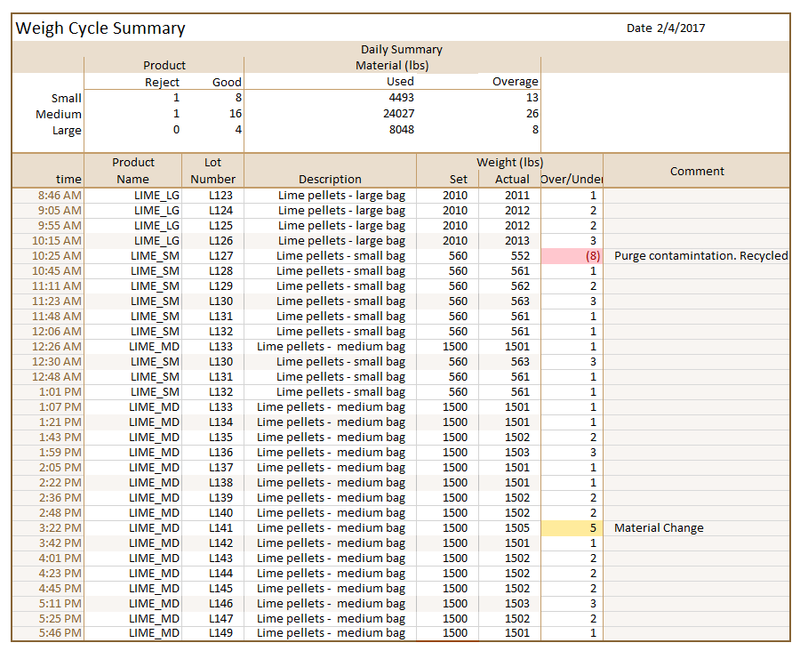 The batch summary report is an example of a report that is updated during a cycle e.g., while a machine is running or during a pumping stage. 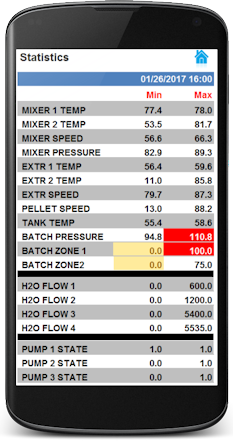 In this solution the PLC is monitored for the start of a batch at which point a new report is produced and updated periodically until the batch ends. 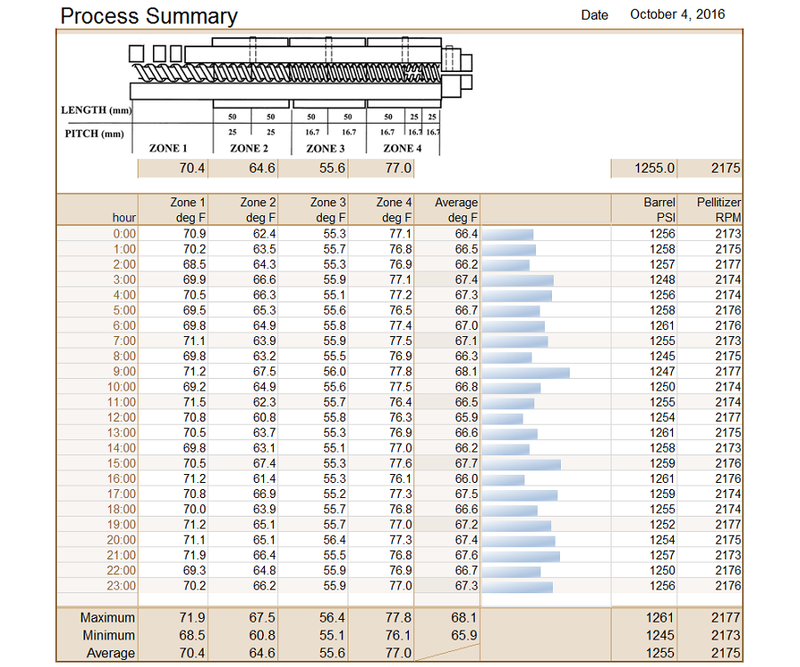 The weigh cycle report is an example of a report that is updated each time an event occurs. In this solution the PLC signals a weighment is complete that causes the report to update. Comments are added to the report at any time to explain out-of-tolerance, indicated by background color of a value. 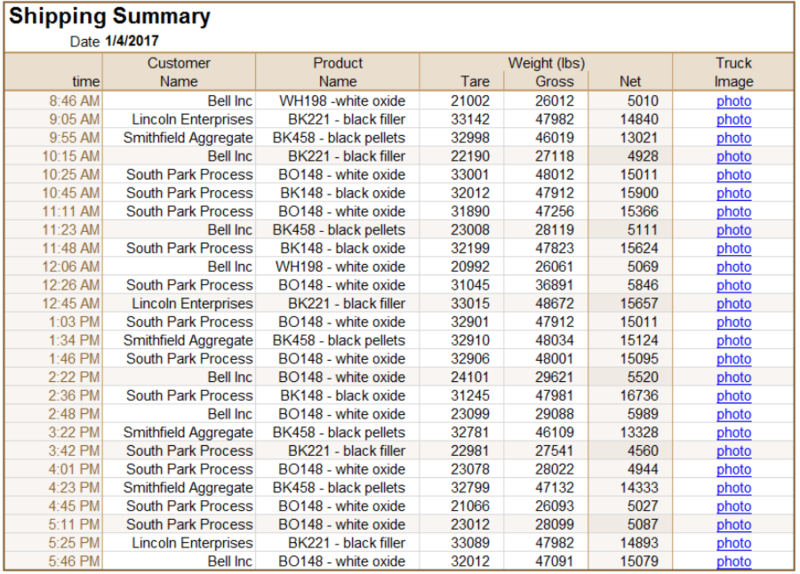 The shipping summary report is an example of a report that is updated each time an event occurs. In this solution, the PLC signals a weighment is complete that causes a shipping label to be produced. 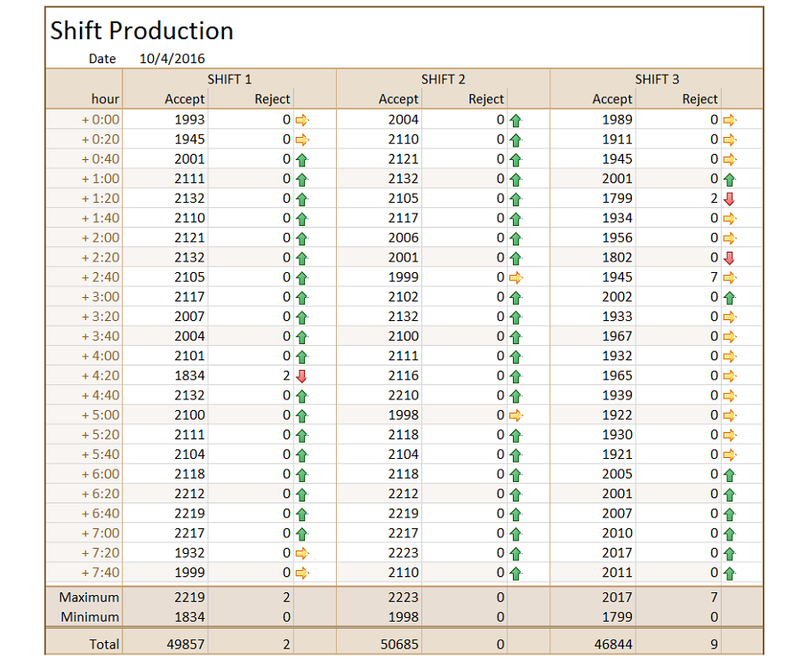 The shift production report is an example of a report that is updated periodically in multiple columns. 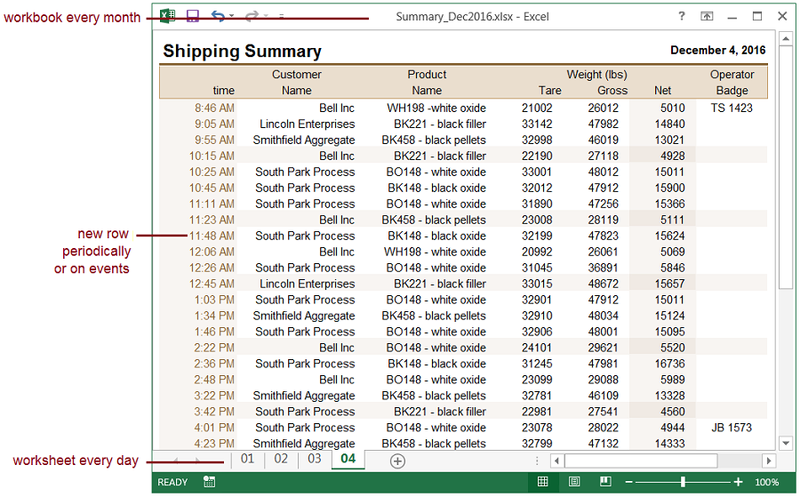 In this solution a daily report shows side-by-side shift performance for easy comparison. The mobile snapshot report is an example web report that is viewed in a browser. In this solution, report is updated periodically, overwriting the existing.